Our miniature CCTV drain survey equipment is ideal for investigating problems inside drains or for getting a close up look in any space too small for a person to fit into. Closed circuit camera systems have become an incredible tool for drainage works, allowing us to look close up at any part of a pipework system to inspect for problems like blockages and cracks as part of repair work or insurance claims. Working throughout the Kent region for private homeowners we guarantee a professional service from a fully certified team of drain engineers. Based around five sites in Kent, we have fast access to the whole county and much of South East London. So call us today on 0800 781 8922 to arrange your free property survey and no obligation quotation at your convenience. Most insurance companies expect a full CCTV survey of any drain that is being claimed on for buildings insurance; they expect a clear map of the system showing where problems are, and video evidence of breaks and cracks all written up in a professional report. We provide comprehensive CCTV drain surveys and supply full reports with DVD footage for domestic and commercial insurance claims across the Kent, Sussex, Surrey, London, Medway and Sittingbourne regions. We often work alongside professional electricians carrying out wiring work in buildings or on electrical trunks. It’s so easy for electrical wires to get snagged or blocked by something, and very hard to blindly feed them through small gaps hidden in walls or pipework. Our tiny CCTV inspection and drain surveys system is the fast solution, giving electricians a clear view of what they’re doing so they can complete wiring installations quickly. We use our CCTV drain survey equipment in a range of ways to compliment other drain maintenance, drain unblocking and care services we provide. The miniature cameras help us trace the source of blocked drains, find cracked pipes needing drain repairs or help us follow dye tracing through parts of drainage systems we can’t access directly. 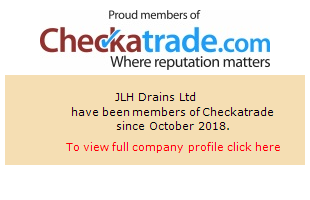 With over a decade of experience in all aspects of drainage works, drain unblocking and applying CCTV inspections to them we get surveys done quickly, effectively and at a really competitive price. Based out of offices throughout Kent we can respond fast to emergency requirements throughout Maidstone, West Malling, Dartford, Bexley, Orpington, Whitstable, Sheerness, Gravesend, Medway, Gillingham, Chatham, Rochester, Strood, Ashford, Canterbury, Sevenoaks, Tonbridge, Tunbridge Wells, Sittingbourne, Faversham, Ramsgate and Margate. Specialists in High Water Jetting! We utilise the very latest equipment and techniques to provide domestic clients from across Kent, Medway, London, Surrey and Sussex with the very best in high water jetting services.